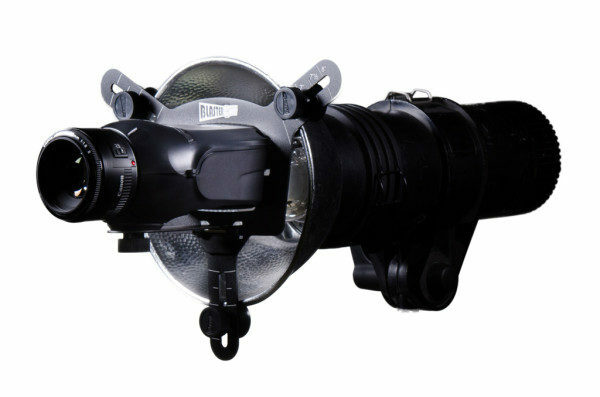 Thanks to the Universal Studio Adapter, you can now use the Light Blaster fresnel system with studio flashes. But is it any good? A Light Blaster is a flash modifier which lets you project images and patterns, using either slide films or gobos. You can read a review of the Light Blaster here. 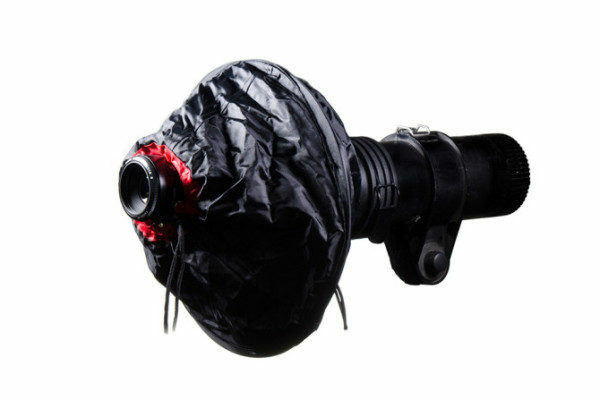 This light modifier has been on the market for several years and was originally meant to be used with speedlites. Since around one year, it is possible to use it also with strobes, thanks to the introduction of a universal studio adapter. This review covers the adapter itself, kindly provided by Light Blaster. I have actually owned a Light Blaster for quite some time but hardly ever used it, as it required speedlites and I generally prefer to shoot with strobes. When I saw that a studio adapter became available I knew that I had to have it! The adapter is simply a metal bracket which holds the Light Blaster and which attaches to any standard bowl reflectors (from 6 to 8 inches wide). A fabric hood comes on top of it, in order to stop any light spills. A yellow carrying pouch is also included in the box. I have to say that the first impression was not the best one. We are talking here about two pieces of metal, 4 screws and a fabric hood. For sure the entire thing works well and keeps the Light Blaster steady in place also when you move it around; still, it is hard to understand the 120USD price tag. Besides, I found very annoying the fact that the one screw that goes under the Light Blaster does not stay attached to the adapter once the Light Blaster is removed; in fact I lost that screw many times! And even my carrying pouch got ripped in one place after a very short use. Well, the adapter works very well for its purpose and we all know that photography equipment can be very expensive. If you want to use a Light Blaster in combination with a strobe there is actually no way around this adapter (except if you can maybe come up with some DIY solutions), so I think it is more interesting to see how the two work together! You have more power. Getting enough light out of a Light Blaster + speedlite can be hard and you will need to crank up your ISO pretty soon when you start closing your aperture. We all know the output limitations of a speedlite and the Light Blaster even absorbs some of that output. There are of course a lot of variables you need to consider here (lens attached to the Light Blaster and its maximum aperture, type of slide film/gobo, distance to the subject, shooting aperture…) but what I can tell you is that in my experience I often even wished to have more than 600W in my strobe (in combination with a 1.4 lens)! It is a more reliable solution. No need to say much about this, a strobe will (generally speaking) be more reliable than a speedlite. The only real minus is that the strobe tends to get very hot, but this is actually due to its additional power in comparison with a speedlite, rather than to the adapter itself. In an occasion my strobe overheated and I had to wait for it to cool down, but I do not think that this heat may actually cause any damages. Also the fabric hood can get in the way when swapping slide films (or gobos) but this is definitely not a big deal. Of course, the adapter also takes additional space. Assuming that you own a Light Blaster, or are interested in owning one, and that you also own at least one strobe, then you should definitely think about getting the studio adapter. Depending on how you like to shoot, you may do well also using a speedlite (for instance if you only shoot with it at wide apertures), but the studio adapter will make life so much easier! Granted, when you see the adapter for the first time you may think that you did not get much for your money but this simple accessory makes the Light Blaster so much more useful. Indeed, thanks to the adapter, the Light Blaster went from being an almost forgotten accessory in my drawer to being one of my favorite creative weapons! The Light Blaster universal studio adapter is available through the Light Blaster website.